ArticlesYunus K Khan – agri consultant from Akola, Maharashtra. 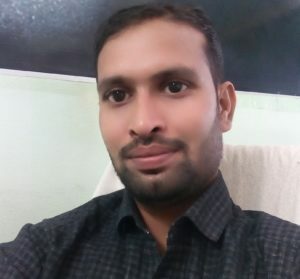 Yunus K Khan – agri consultant from Akola, Maharashtra. Everything in this world is made up of chemicals and intense series of chemical reactions. Utilizing the chemical composition of natural materials for crop production and protection is expertise of Mr. Yunus K Khan, agri consultant from Akola, Maharashtra. Mr. Khan is committed for life to save the farmers’ crop from loss and increase the crop production only through natural sources. He does indepth research on the natural chemical composition/properties of the ingredients and then uses the same in preparing the customized solution for the farmers’ field. “If I need amino acid for the crop growth I use egg as the key ingredient in plant growth promoter. Similarly lactic acid if needed then milk is used, castor oil is used as an insecticide, mulching as weedicide and so on. There are indefinite combinations available in the nature through which we can reduce the production cost, increase the yield and protect the crop from loss,” he affirms. Mr. Khan advises farmers to comply with traditional farming knowledge as well as use the latest agri technology. “The blend of two is crucial and farmers must take initiative to learn the techniques and try to become independent. For example, cow urine is most important for farming but as it is acidic in nature it is imperative to ensure its’ pH is 4-5 before it is sprayed on the plants. Check the pH with litmus paper. To increase the pH add some ingredient that is source for phosphoric acid and to decrease the pH add the source for citric acid. Farmers need to learn these intricacies keenly then he would climb the ladder of prosperity soon,” he insists. To protect the crops from insects and pests castor oil can be used. “Just spray castor oil on any one plant in the middle of the plantation. Due to the sticky nature of the oil all the insects get stick to this one plant and rest of the farm is protected,” he shares another example. 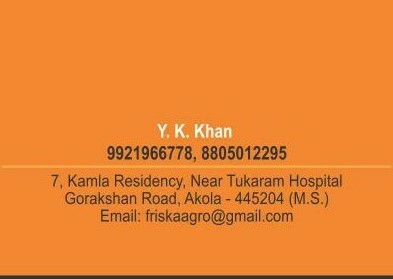 Desi seeds are significant to farming as per Mr. Khan. “Native seeds are disease resistant, adaptable to climate changes, packed with nutrients and reproduce more seeds. Thereby every farmer must use desi seeds in his farm and make it a habit of saving seeds for the next cycle. They have to believe that desi seeds have the capacity of giving bumper yield. Seeds reproduction is a natural process just as other living beings. Every species in this world want to reproduce the next generation better than the existing generation. The same applies for the seeds as well. If we use desi seeds then the next-generation of desi seeds produced will be much-much better in the performance. It is the universal fact!” he elucidates. On the contrary GMO and hybrid seeds are not good because using the technology it is only an increase in the quantity while the nutrient content is limited. Besides it doesn’t have the capability to reproduce more seeds therefore should be avoided stringently. Chemical-free farming is largely depended on desi cows for its dung and urine. However, it might be difficult for some farmers to maintain cows hence they should consider rearing goat or poultry along with horticulture. Goat manure is excellent source of nitrogen, phosphorous and potash for the soil. Only requisite is that it must be decomposed thoroughly before it is applied in the farm. It takes 60-90 for preparing goat manure in the farm premises. “This manure is very effective to turn barren land into fertile land. It should be used in the fruit orchards as well. 1 kg of goat manure is sufficient for the trees aged 1-3 years, then after 1 kg manure should be increased every year with the age of the tree. Similarly poultry manure is also good source of nutrients for the horticulture farmers however it has more content of nitrogen so has to be decomposed atleast for 150 days,” he states. Mr. Khan, an agricultural graduate of 2003 batch has attained expertise in fruits and vegetable cultivation through his intense research on utilizing the chemical properties of the local commodities. Annually he offers his consultancy services to 80+ farmers having farmland of all sizes across Maharashtra. He also takes up bigger projects of 40-50 acreage to set up the orchards. As his solutions to farming problems are self-developed, he required his own open field living laboratory so he leased 45 acre and developed it into a farm. He grows different varieties of fruits, pulses, grains and vegetables organically. “I also develop new techniques to control the production cost. Farmers in some areas of Maharashtra are in financial crisis so these solutions help them largely,” he adds. The way life of human beings is a natural process so it is for the plants. “It is the science so we have to study all the natural composition of the things around us and then find the solutions of the problems from the surroundings. There is no need for factory produced solutions for soil or plant related tribulations. New techniques and experience of traditional knowledge must go hand in hand. Do not leave the nature, follow this simple rule and agriculture will bloom forever with no loss ever. Moreover agriculture is the most important industry. It needs to be promoted to the level where people willingly invest their saving in agriculture just like in mutual funds,” Mr. Khan signs off. Next PostNext “60 Khillar desi breed cows are the biggest asset of my farm.” – Ashok Ingole, Satara district, Maharashtra.